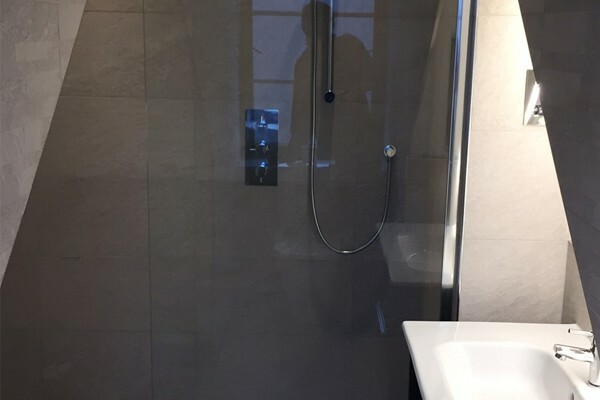 To install a modern ‘wetroom’ in a Top Floor Apartment at a Marina location. To carry out all tiling, drainage, plumbing and electrical works. With a wall hung basin unit and matching WC. Utilizing the most up to date wet floor technology with Aqua Floor 4MA from Kudos. 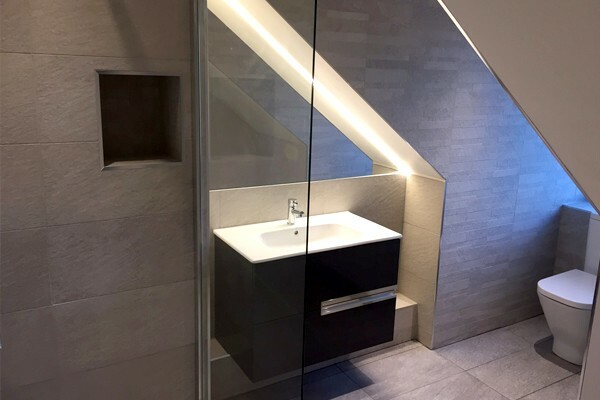 To create a sublime, back-lit, relaxing shower area bespoke to this property. "‘We are extremely happy and relieved by the manner that our original concerns were dealt with. We would definitely use you again and recommend you in the future.’"
"‘We are very pleased with the service you provided. The engineer was very polite and worked tidily, carefully and swiftly.’"
"‘The team worked with speed, accuracy and professionalism and always cleaned their mess behind them. We were extremely impressed and pleased with all the work’"